This artistic achievement doesn't, however, compel an endorsement of the books on my part, or of the performances as therapy—which is how they are billed. The books are, on their own, fairly ordinary (a set of pretty good translations and a volume of autobiography and puffery), and as for the help that suffering and isolated people may find in Doerries' plays for "healing" from their experiences, the therapeutic environment itself, invoking strictures of "privacy" and "safe space," doesn't allow any kind of inquiry. 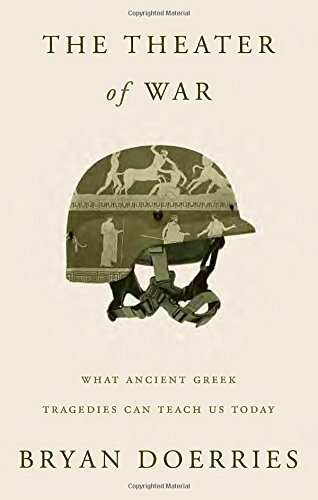 Dr. Jonathan Shay, the celebrated author of Achilles in Vietnam (Scribner, 1994), has theorized that this sort of storytelling is a kind of medical care for veterans, and he adduces ancient Greek tragedy as having functioned this way. Alas, not only does Shay thoroughly misunderstand ancient history, ancient society, and the ancient mind; but from my own long observation of fashionable efforts to deal with traumatic memories in post-apartheid South Africa, I have to say that the storytelling-as-therapy premise has got nothing better to recommend it than its convenience. Its essence is, "We can discharge our debts to people damaged for our sake by chatting with them." It isn't true. Doerries, of course, has done far more than chat: he offers an uncannily well-adapted, gripping art form, which doesn't need any extraneous rationale. For the benefit of veterans themselves, he should offer this art form more broadly. The mere inherent appeal of the original Athenian productions would have cheered and comforted veterans to the extent storytelling could. The plays were part of traditional religious and patriotic festivals that soldiers, soldiers-to-be, and former solders regularly enjoyed as part of their unquestioned stake in the polity. Their attendance wouldn't have been nearly as valued had it not been abundantly shared. Resident aliens in Athens (a large commercial class) weren't excluded. A leading authority on the Athenian dramatic festivals, Jeffrey Henderson (disclosure: a former teacher of mine), believes that women also attended. Children's presence is attested. Foreigners crowded the City Dionysia, the bigger, glitzier celebration, which took place during the sailing season. Athenian citizen-soldiers in the audience were very probably outnumbered, contrary to Doerries' depiction of them as the majority. The proposal that, in the circumstances we know about, the content of tragedy was a necessary reminder that an individual veteran was "not alone" is malarkey. 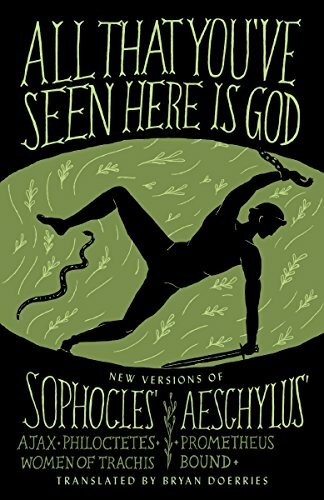 Moreover, most of the content—of the actual tragedies, as well as of the comedies and satyr plays, presented on the same days as the tragedies—ignored war trauma, and could even treat it disrespectfully. Alcestis, in the tragedy of that name, dies in her husband's place so that he can avoid a curse. Aristophanes' comedy Acharnians culminates with the antiwar protagonist triumphing in a boozy, lecherous feast, the ministrations of his floozies paralleling the kinds of help screamed for by his nemesis, a wounded buffoon-patriot soldier who is on the stage along with him. Because drama wasn't a sop to traumatized soldiers, because it was about the national and universal concerns that enfolded citizen soldiers too, it would have worked against any alienation they were enduring. For many reasons unrelated to the festivals themselves, it's not likely they were enduring much alienation. Citizens trained together for warfare from boyhood. Hoplites fought in an interlocked line that held or broke as a unit. Rowers of the triremes shared small benches and prevailed, escaped, or came to grief along with their ships. The inefficiency of ancient weaponry seems to have kept casualties relatively low, and primitive medical conditions assured a low number of long-term recoveries and disabilities: wounded, you likely bled out on the spot or died (unlike Philoctetes) rather promptly of shock, organ failure, or sepsis. PTSD or "moral injury" doesn't appear to be attested in the ancient world, even in myth; Ajax (Doerries' first presentation to veterans, along with Philoctetes) is a play about a warrior gone insane and falling on his sword not from battle stress but from the dishonor of being deprived of the prize armaments he has earned through his prowess. In personal terms, this wouldn't have been all that painful for Athenian citizen-soldiers to watch—and it might actually have left them smug. In their democratic Classical period, they could contrast their lot with Ajax's Homeric-era doom among viciously competing chieftains only nominally belonging to the same army (much as they could contrast their own rapidly revolving and deferent leadership with the arrogant, destructive kings in tragedy).